So far Katya Friedman has created 24 blog entries. Thank you to the ASPCA! We are so grateful to the ASPCA for supporting our work! Thanks to their generous grant, we were able to provide free services to 625 cats and dogs over the course of six months. Spending a total of $62,088.64, our average expense was $99.34 per pet. The total of 580 dogs and 45 cats we helped received a variety of different free services such as: spay and neuter surgeries, vaccinations, microchipping, de-worming medication, treatment for mange, and treatment for ear, eye or skin infections. Dental work (including pulling infected, painful teeth) was also carried out, as were X-rays and blood work, mostly for the senior dogs we helped. Some of the animals we saw were having seizures or had chronic arthritis, others had bladder infections or tumors needing removal. Lastly, there were a few senior dogs at the end of their lives and suffering; we paid for their humane euthanasia. Helping families who need us is our pride and joy. There was one requirement in order to receive the free services however: pets had to be spayed and neutered or pet owners had to agree to get their pets spayed and neutered if they weren’t already (a cost we also covered.) Our work focused on Compton, Lynwood, Maywood, Huntington Park, Cudahy, South Gate, Bell, Bell Gardens and part of South LA. Pet owners there were low income or living on a fixed income, and many were on disability or were senior citizens who had no means to pay for what their pets needed. Partner veterinarians donated their expertise. We also issued vouchers and worked with mobile clinics, stationing them at East Rancho Dominguez Park in Compton on a monthly basis. We witnessed happy tears and heard excited cries by pet owners so relieved to give their pets the medical care they desperately required for a healthier and happier life. Several people had lost hope and thought their pet might die. Can you imagine the comfort they experienced when they learned there was another option? But none of this work would have been possible without the ongoing support from the ASPCA. We appreciate them and their generous grant more than we can express, for they allowed us to provide these communities with attention, compassion, and assistance. We look forward to doing more, and to sharing all that we have to be grateful for. Happy 4th anniversary to SIP! On April 6th we celebrated our 4th anniversary of the South LA Shelter Intervention Program (SIP). 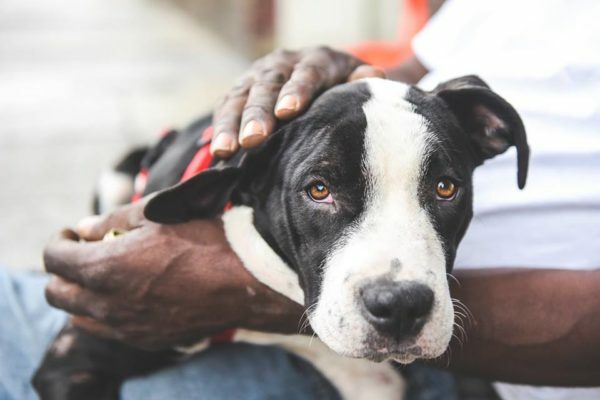 For four years, three counselors (one full-time and two part-time) have sat at the South LA Shelter every week from Tuesday through Saturday talking to pet owners compassionately. “Why are you surrendering your dog/cat/rabbit to the South LA shelter?”and “How can we help you keep your pet?” and “What do you need from us in order to care for your pet further?” These type of questions permeate the air at our table, which is set up in front of the receiving desk at the shelter. The families we helped required a variety of services, but one thing was unanimous among them all: INFORMATION. Helpful information about proper pet care and support services lacks so desperately in their communities, and that’s why we’re so grateful we are there to support them. We assisted with 283 license fees and redemptions, paying full or partial fees to get impounded cats and dogs back home. We paid for 331 humane euthanasias. These were for senior, terminally ill pets who no longer had quality of life and who would have otherwise been euthanized in the shelter without their family present. Instead, we sent them to one of our partner animal hospitals so the family could be with their pet, wishing them well at the end of their life, letting them pass in peace, with dignity and love. We worked on 2786 medical cases, ranging from vaccinations to orthopedic surgery. Most of the time, the pet owner was struggling with an ongoing medical issue, such as infected skin or ears. Some people had paid for services in the past but were completely out of money and unable to pay for more. 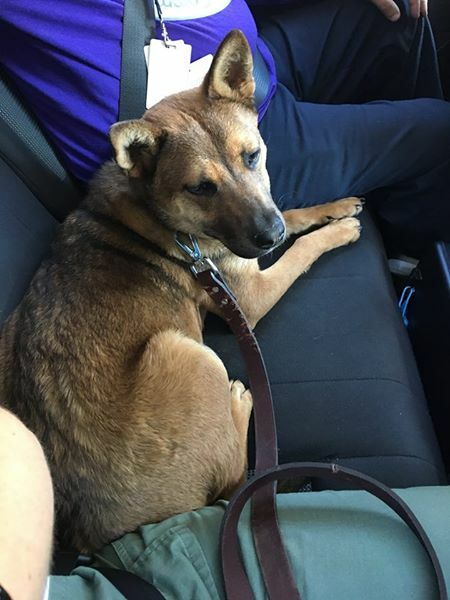 We often heard, “I took him to vet…we had him on medication…he isn’t getting better and I can’t afford anymore care.” This is were we stepped in to lend a hand. 281 dogs needed help with dog training issues, which we paid for so the owners could attend free of charge and manage their pets better at home. We helped 335 people with landlord issues, such as getting their pet certified as an Emotional Support Animal or dealing with a notice to comply, usually for fence/gate repair as it relates to tethering. This has shown to be such an extreme area of need that we have now partnered with Inner City Law Center moving forward! We’re excited to have a full time attorney who can devote her time to pet related housing cases for very low income pet owners. This includes pet owners who are experiencing homelessness and need reasonable accommodations that will allow them to bring their pet while they look for permanent housing. 398 cats and dogs needed to be rehomed or were placed with a rescue organization. Many of them ended up at our own kennel, and were later adopted into happy homes. A new fundraiser for us! Donation alert! This month, Babes in Toyland Charity and Centinela Feed & Pet Supplies have teamed up to gather donations for us at Downtown Dog Rescue. We are so thankful they’ve come together to help us! For starters, there are many opportunities to give through Centinela Feed & Pet Supplies, with 15 stores across LA and the South Bay. So if you need pet food or supplies, we encourage you to go there and donate beds, blankets, collars, leashes, toys, food, treats, pet carriers, flea medications, and more to support our efforts. Just look for donation boxes in any of Centinela’s stores to make a donation. Everything we get from this drive will be used at our Pet Resource Center, which provides much needed goods to the families and pets of the Skid Row community. Our Pet Resource Center, located inside the Inner City Law Center office and in collaboration with LA Animal Services, is offering tangible assistance to people and their pets with nowhere else to turn. And for even more good news, on Thursday March 30th the 3rd Annual Babes in Toyland – Pet Edition event will be hosted to raise awareness and donations for us! Babes in Toyland gives patrons an opportunity to give back to the community alongside some of the most beautiful women in the world. If you’d like to give back to us, and if you like pretty ladies, please click here to find out more about attending the event. Sadly there are too many people with so little, barely getting by. But the generosity of this donation drive is flooring us, and we’re already planning to rent a truck in order to pick up all the donations, as well as a storage unit. It’s an unbelievable feeling – to know we will have so much more to offer those who need it desperately . We hope you will be part of this special time. We remain tremendously appreciative for and humbled by everybody who makes our work possible. We are stronger together indeed. You’ve heard the saying: We are stronger together. Often the most effective way to make a difference is by collaborating with others to get a job done. 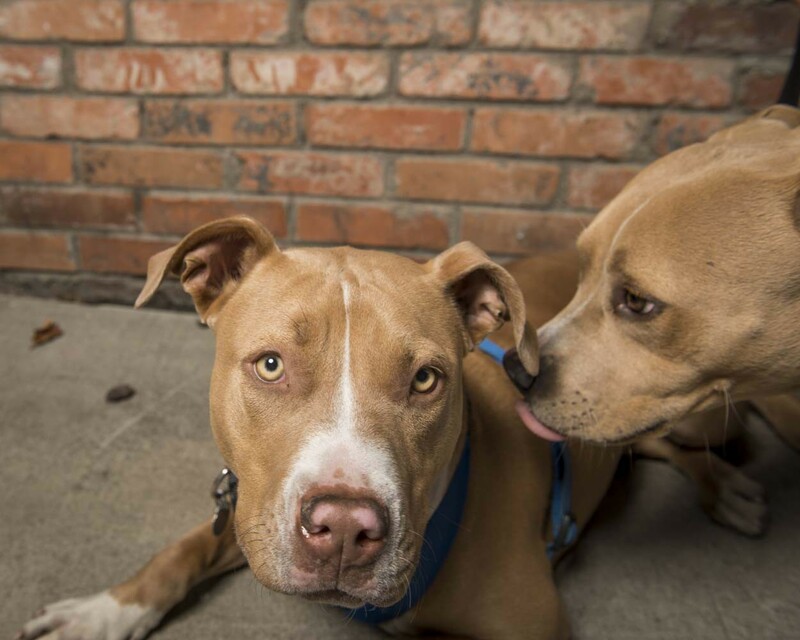 Through our Pet Resource Center, we not only get support from Inner City Law Center and Los Angeles Animal Services, we also collaborate directly with social workers, case managers, nurses and doctors all of who serve Los Angeles’ Skid Row population. Last week we partnered with C3 – a multidisciplinary, multi-agency, homeless outreach program in the Skid Row area. The C3 team is simply amazing! They work right on the streets of Skid Row, their feet on the pavement, developing relationships street by street, identifying areas block by block, and addressing the needs of those who want help. For example, last week we got a call from them about a homeless person who desperately needed to be hospitalized in order to receive necessary health care. However, he would not go to the hospital until he knew that his dog was safe. We were happy to work with C3 to organize care for this pup so that his guardian could receive assistance. So you see, we are indeed stronger together. Nobody is meant to go at it alone. While we boarded and cared for his dog – his family member – this homeless man was able to tend to his health. Without teamwork this may have not been possible. And without you being a part of our team, we can’t do what we do. Every dollar you give, every tweet you share, every adoption event you come to fortifies us, inspires us, and lets us be there when others need us. So thank you for making us strong. 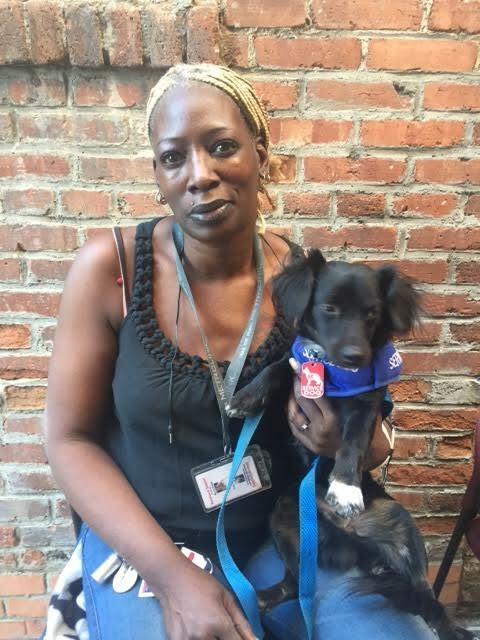 We see first hand through our SIP program and even at the Pet Resource Center how evictions hurt families and their pets. Countless animals are in the shelter now due to eviction, as we see it as one of the biggest reasons for surrendering an animal time and time again. This is why we teamed up with Inner City Law Center – in order to try and help prevent families with pets from being forced out of their homes. Since our program started in July, 36 of our cases were referred to ICLC’s attorney Diane Prado. She has then represented pet owners facing eviction in order to defend their rights and their homes as much as possible. Because the amount of stress families endure on a daily basis when they’re home life is threatened – not knowing where they will move to, or if they will become homeless, or how they will ever be able to keep their pet – is a terrifying reality. Basic necessities like food, clothing, and shelter are a necessary foundation, and without one of them it becomes increasingly difficult to be stable, to move up, to get a better job, to go back to school, or even to dream. 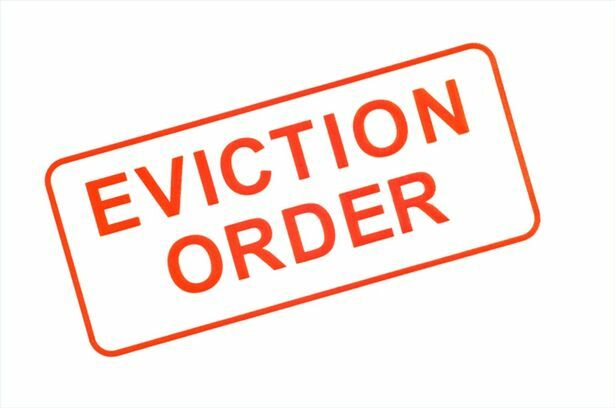 Until one is facing an eviction or cannot pay their rent, one will never know how they would respond. We hope you will support us as we support those who are unfortunately dealing with these circumstances and trying desperately to keep their two and four legged family members together. There’s a fairer, juster way to keep people in their homes…we hope to be a part of figuring it out. The 2016 numbers for our Shelter Intervention Program are in! Transparency is important to us. We want you to know where your dollars go when you support our work, and we want you to feel good about it! 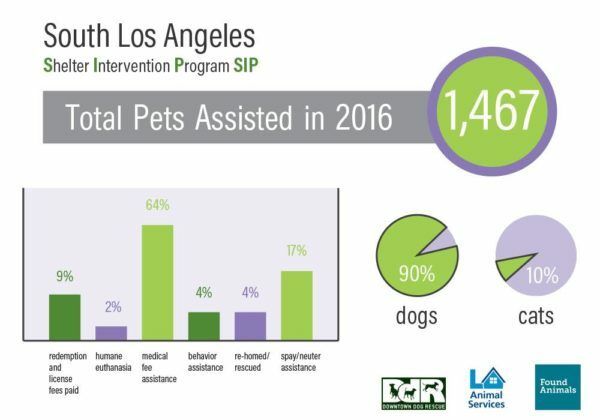 So let us tell you about how our Shelter Intervention Program (SIP) took on more cases in 2016 than ever before. In 2015 we helped 1272 families, but last year we assisted 1467! Comparing statistics year by year, we noticed that there was an increase in the number of people unable to pay for medical care and other services for their pets, including pet food and supplies. 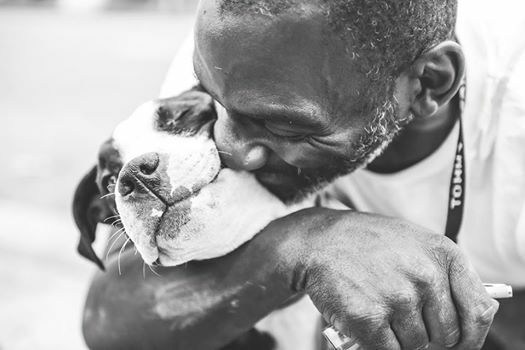 Despite news about a rise in employment and the growing economy, the South Los Angeles pet owners we met and dealt with were largely unemployed, under-employed, receiving government assistance, or experiencing homelessness. 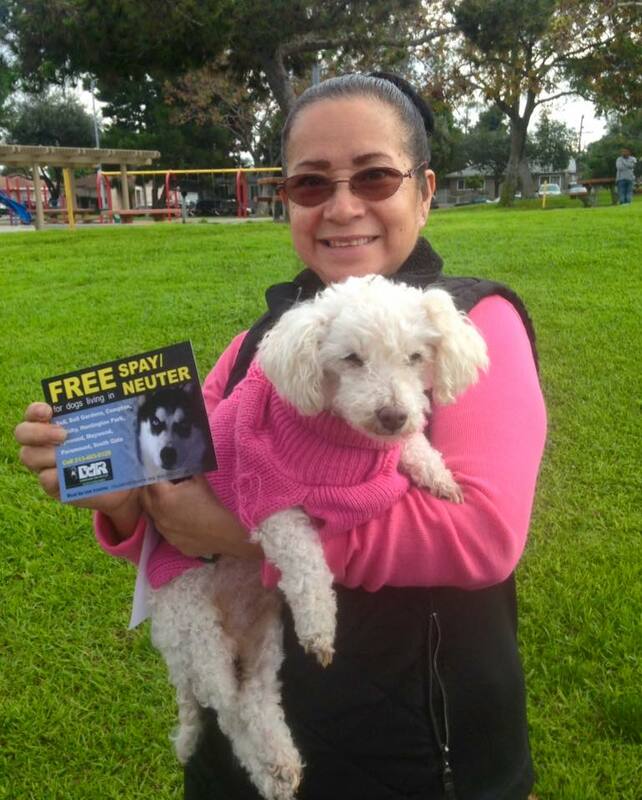 Many pet owners came to see us at the South LA Animal Shelter or visited us during Pet Resource Center office hours, depending on where they were living that week or month. Because we were able to spend less on spay and neuter surgeries, we were able to allocate that money to people who had pets with other needs. 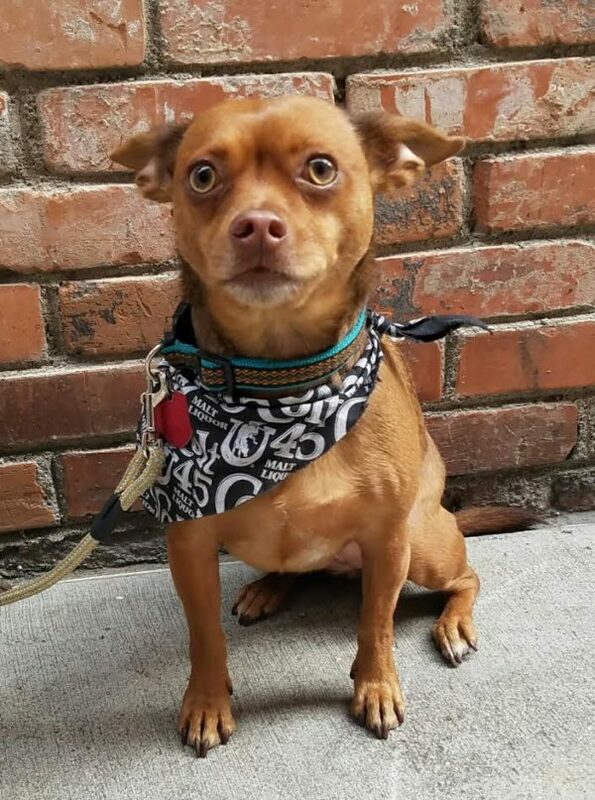 Thanks to the ASPCA spay and neuter clinic which opened at the South LA Shelter in 2014, we’ve been enabled to use our funds for other medical issues, of which there are no programs for. In 2014 we paid for 1110 spay/neuter surgeries; in 2015 we covered 300 spay/neuter surgeries; and in 2016, we paid for only 248 surgeries. Of those 248 surgeries, many pets required bloodwork for being a senior pet, had seizures to contend with, or needed a tangential medical procedure such as dental work, making it cost effective to perform both the spay/ neuter while attending to the other issue. 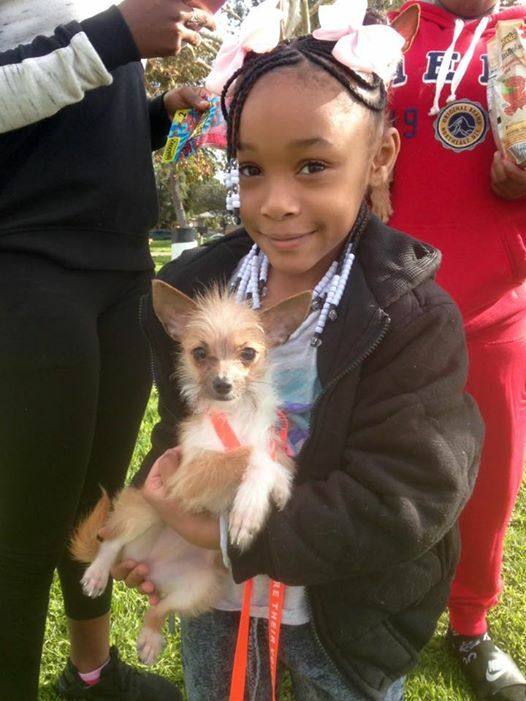 Of course we still support spay and neuter, but our focus has moved further out into the community through offering three mobile clinics which happen the first Sunday of the month in Compton, the second Sunday of the month in South LA, and the 3rd Sunday of the month at our newest location in Lynwood. That means three out of four weeks of every month are reserved for spay/neuter mobile clinics, and we fill those clinics by mailing out vouchers to cat and dog owners in the areas every day. This draws people out of their homes, into the community, and engaging with us. We’re excited to report that we see firsthand how encouraging proper care and a personal investment in their pets is changing perspectives and lives! 2016 Wrap up of our Pet Resource Center! We’re so proud of the work we do at the Pet Resource Center. Not only did we open PRC in 2016, here’s our end of the year wrap up where you can see how many people and pets we helped in the first year alone. Over 50% of the clients we served came to us for spay/neuter services, and almost 50% were experiencing homelessness. Only 38% had a case manager working with them, most of the people we served were between the age of 30 – 69, and 65% were unemployed. Six out of ten clients were women, as well as receiving public assistance. In terms of education, 35% had some college experience or a degree and the rest completed high school or up to 8th grade. Almost half the population we worked with was African American, 27% were Hispanic, and roughly 19% were caucasian. A few of those we helped had cars or were driven to us, but about 60% walked to our office. Three out of four people needed assistance with dogs, and half of them got their pet from a friend or family member. As for services provided, we gave 80% of people food, almost 30% a collar and leash, vaccines for 31% and microchips for 25%, 10% needed medical help for their animal, and 36% were given flea meds. ESA assistance was requested by 30% of our clients. So as you can see we were busy at PRC this year! We look forward to 2017 and to doing much, much more to support the Skid Row community. We believe in the love of family, and hope we can continue to support pets and people who need an extra hand staying together. Without judgement and with a whole lot of compassion, along with your generosity and encouragement, we are certain anything is possible. Last but not least, a special thank you goes out to Inner City Law Center and LA Animal Services for their support and partnership. Together we are making a difference. 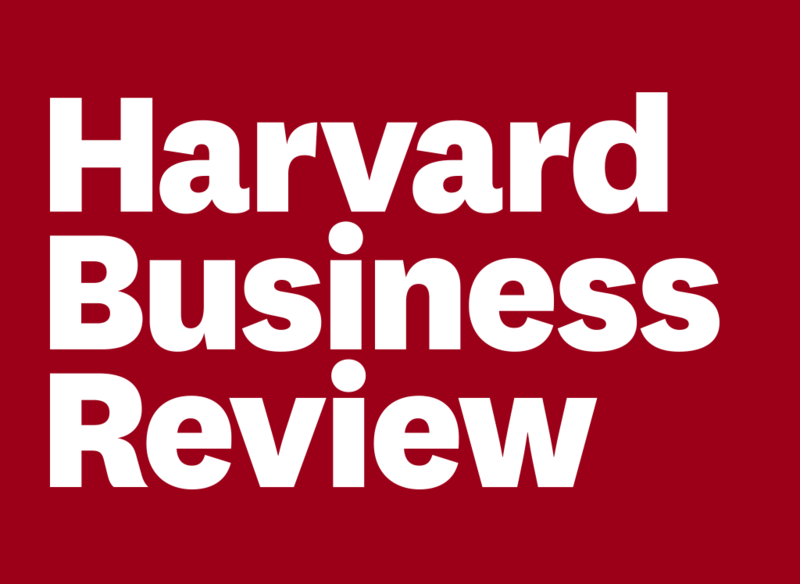 DDR is featured in the Harvard Business Review! We’ve been featured in the latest Harvard Business Review, and we’re excited to tell you all about it! In an article titled, “Are You Solving the Right Problems?” author Thomas Wedell-Wedellsborg reveals that most companies and organizations are good at solving problems, but not necessarily good at figuring out what the real problems actually are. He goes on to explain that reframing problems often brings about unexpected, creative solutions. Using dog adoption as an example, DDR is highlighted for the way in which we reframe the issue. Instead of focusing on promoting pet adoption or marketing the sad realities, we employ our Shelter Intervention Program (SIP). Of course we want to see more animals get adopted and of course we hurt for those at risk of euthanasia, but we come at it by trying to keep pets with their original families in the first place. If these animals don’t come into the shelter system at all, we can help everybody – the families, the shelter staff, and most of all the animals. Wedell-Wedellsborg explains how whenever a family comes into the shelter to hand over a pet, one of our staff asks without judgment if the family would prefer to keep the pet. If the answer is yes, we try to help resolve the situation, instead of waiting for the animal to come into the system and then trying to get the dog rescued or adopted. Instead of demonizing the family or casting blame. We are very grateful to be singled out for our approach, compassion, and hard work. The author goes so far as to say that thanks to our reframing, overcrowded shelters may someday be a thing of the past. Here’s to hoping that dream comes true!